The Who and The Why: U.S. Senator Kay Bailey Hutchison, Elizabeth Edwards, Lance Armstrong, Edward J. Benz, Hala Moddelmog, Steve Case and Greg Simon all went to Washington DC last week to help push through U.S. Senator Edward M Kennedy’s congressional bill to “beat the war against cancer” by making it a “national priority”…. The When and The Where: On May 8, 2008, in 216 Hart Senate Office Building on Capitol Hill, the above prominent cancer survivors testified before the Senate Health Education Labor Pensions (HELP) Committee at a Congressional sponsored event called, “Cancer Challenges and Opportunities in the 21st Century”. The What: “Live Strong Day” (International). 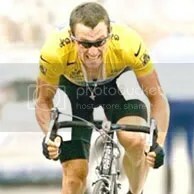 To further this cause athlete cyclist Lance Armstrong will be out and about on Tuesday promoting his “Live Strong Day Foundation”. Says Lance, “The foundation is international so as to help us better understand how cancer is viewed in other countries”. Disney will distribute Renee Baker Studios’ first motion picture, in movie theatres worldwide, under an “output deal” valued at $73.5 million dollars…. 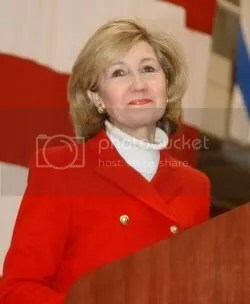 You are currently browsing the archives for the Kay Bailey Hutchison category.